Holy Land Mosaic. Stories of Cooperation and Coexistence between Israelis and Palestinians. Is a Liberal Democracy a Frightening Prospect for Israel? Is the Jewish State Good for the Jews? Marc H. Ellis, Israel and Palestine. Out of the Ashes. The Search for Jewish Identity in the Twenty-First Century, London: Pluto Press, 2002. You Have Said That It Isn’t Accurate to Refer to Israel as “The Jewish State”. How Can That Be? Au nom de qui agit Bnai Brith ? Comment désamorcer la violence antijuive? Entretien- Le sionisme, négation du judaïsme? Est-ce que toute opposition au sionisme est antisémite? Le président israélien s’inquiète : Un État juif ou un État inclusif? Sionisme = judaïsme? Amalgame faux et dangereux! He has studied Judaism at the Yeshivat Dvar Yerushalaim, the Pardes Institute, the Shalom Hartman Institute and the Bet Morasha Centre for Advanced Jewish Studies in Jerusalem, at the Centre Rachi in Paris as well as in private sessions with several rabbis. He was an Associate Member of the Jerusalem Center for Public Affairs for over a decade and collaborated with Rabbi Adin Steinsaltz of Jerusalem in reviving Jewish education in the former Soviet Union in the late 1980s. His most recent book is A Threat from Within: a Century of Jewish opposition to Zionism. Currently available in twelve languages, it has been nominated for Canada’s Governor-General Award, Israel’s Hecht Prize for Studies in Zionism and listed as one of the three best books of the year in Japan. His analyses of Jewish and Israeli issues have appeared in print in, inter alia, Baltimore Sun, Asahi Shimbun, France-Ouest, Frankfurter Allgemeine Zeitung, Cape Times, The Age, Jerusalem Post, Jewish Chronicle, Midstream, Haaretz, Le Devoir, Milenio de México, Noticias de Buenos Aires, Libre Belgiue, and L’Économiste. He has also appeared in major electronic media such as BBC, Radio France, Radio Canada TV, Radio Argentina, Irish Radio, CTV, and USA Radio Network. 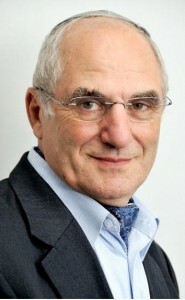 Professor Rabkin’s publications include Science between the Superpowers, a study of Soviet-American relations in science and technology (Priority Press, 1988), The Interaction of Scientific and Jewish Cultures in Modern Times (The Edwin Mellen Press, 1995), Diffusion of New Technologies in Post-Communist Europe (Kluwer, 1997), a major overview of science in pre-Revolutionary Russia that appeared in L’Europe des sciences (Seuil, 2001) and a comparative analysis on science in the Soviet Union and Nazi Germany in Science and Ideology (Routledge, 2003). He has also published nearly two hundred scholarly articles on the entry of Jews into modern science, on science and religion interface, on relations between science and cultures. His consulting experience in the field of science policy includes work for OECD, NATO, World Bank as well as for the government of Canada. Married to Estela Sasson; they have children: Miriam, Meir, Guéula, Hinda and Moshe Hillel. Address: Professor Yakov M Rabkin, Département d’histoire, Université de Montréal, CP 6128, Succursale Centre-ville, Montréal, Canada H3C 3J7 Telephone: (514) 343 7218; e-mail: yakov.rabkin@umontreal.ca. Posted in Judaism, Zionism and Anti-Zionism.